Faculty members and students at a Michigan university have received hockey pucks to use as a "last resort" to potentially thwart active shooters. 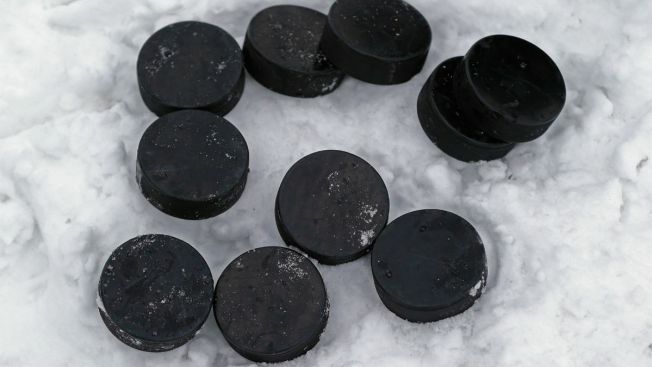 Oakland University in suburban Detroit said in a statement posted to Facebook last week that faculty members purchased 800 hockey pucks for teachers and another 1,700 pucks for students following a recent active shooter training. Student government leaders are also planning to purchase more pucks for students, the university said. "Oakland University Police Chief Mark Gordon has conducted hundreds of active shooter trainings for nearly 10 years, and in those courses he has stressed that primary defenses for individuals in active shooter situations are running from harm’s way and sheltering in place. He introduces fighting an attacker as a last-resort, self-defense option," the university's statement read. Gordon said to fight effectively, faculty and students need to be prepared to throw heavy objects that will cause a distraction. "At a recent training, he used the example of a hockey puck, which individuals can easily carry on their person. Some Oakland University faculty members appreciated this idea," the school's statement read. Hockey pucks fit the bill and can conveniently be carried in brief cases or backpacks, Gordon said. "Oakland University wishes to emphasize and reiterate that the idea of fighting an armed attacker with a hockey puck was offered in the context of a last line of defense in an active shooter situation," the university's statement read. The school said there are also fundraisers to "support the installation of additional interior locks on classroom doors."